PyCon MY 2019 (24 & 25 August 2019) is now calling for proposals (CFP). 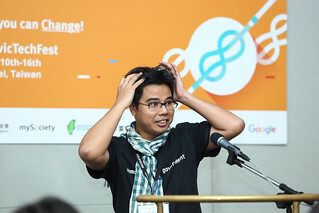 PyCon MY 2019 is the sixth installation of annual Python conference in Malaysia. The venue for this year conference will be advised soon. We welcome submission from all, from experienced conference speakers and people new to technical conferences; industry professionals and hobbyists; entrepreneurs, researchers, and system administrators. Your talk can be presented in Bahasa Malaysia or English. Come and speak at PyCon MY 2019! Submit your proposal here now or visit https://www.papercall.io/pycon-my2019! We are happy to announce JetBrains as our Silver sponsor for PyCon MY 2018! JetBrains will be attending PyCon MY 2018! Drop by and ask us about the newest features, and to tell us how you’ve been using PyCharm. If there’s a feature we could make that would make your life easier, now is the time to come over and let us know. JetBrains delivers intelligent software solutions that make developers more productive by simplifying their challenging tasks, automating the routine, and helping them adopt the best development practices. PyCharm is the Python IDE for Professional Developers by JetBrains providing a complete set of tools for productive Python, Web and scientific development, available in three editions. The free and open-source PyCharm Community Edition is perfect for pure Python coding. PyCharm Professional Edition is designed for professional Python and Web developers. PyCharm Educational Edition helps novice programmers learn programming with Python easily and effectively. We are very thankful to JetBrains for supporting the PyCon community by sponsorship to PyCon MY 2018! We are happy to announce Xoxzo as our Gold sponsor for PyCon MY 2018! Xoxzo is a cloud telephony platform for web developers, created by a diverse 100% remote team from Russia to Japan.Simple APIs and documentation that show you how you can leverage the phone with a single line of code: Make calls, receive calls, subscribe phone numbers,and send SMS, all with just POST and GET. Founded in 2007, Xoxzo has no offices but the team gets together somewhere on the planet a few times a year, with PyCon conferences as one of them. We use python on 99% of our code, donate to the Django project and have been supporting PyCon since 2010. We are very excited to be part of PyCon MY 2018! We are very thankful to Xoxzo for supporting the PyCon community by sponsorship to PyCon MY 2018! We are happy to announce HDE as our Gold sponsor for PyCon MY 2018! HDE is one of the first IT ventures in Japan, established 22 years ago. Owning over 73% market share in the whole of Japan, HDE is the #1 cloud-based security provider based in Tokyo, Japan. With over 3.5 million users in over 4,000 companies, we’ve keenly presented ourselves in the global plenary; from expanding our business to global plenary, to changing our main language to English and having 20% of our employees international. As our business continuously grows and expands, we are looking for talented engineers (front-end, back-end, data) to join our team in Tokyo. We are very thankful to HDE for supporting the PyCon community by sponsorship to PyCon MY 2018! 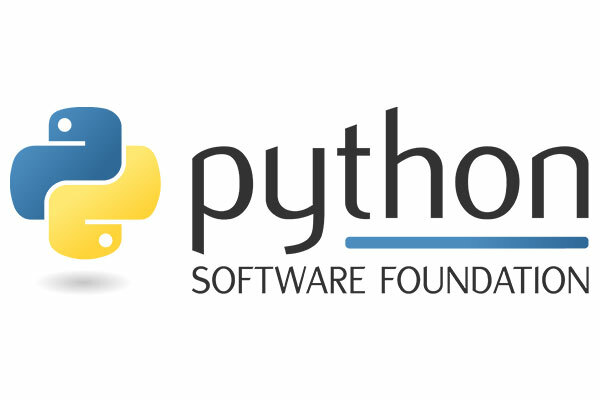 We are happy to announce Python Software Foundation (PSF) as our Platinum sponsor for PyCon MY 2018! We are very thankful to PSF for supporting the PyCon community by sponsorship to PyCon MY 2018! We are happy to announce OnApp as our Silver sponsor for PyCon MY 2018! The person in charge for tying up with us even had this to say: Python is being actively used as a core language in OnApp KL engineering team, and we are very extremely happy to be part of it to promote and contribute to the python community. Hope to see a larger Python talent pool in Malaysia, our beloved country. We are very thankful to OnApp for supporting the PyCon community by sponsorship to PyCon MY 2018! For PyCon MY 2018, we are organizing a one day development sprint event, where developers regardless of skill level get together with project maintainers to work on open source projects. Development sprints for PyCon MY 2018 will be held at the Faculty of Computer Science and Information Technology, University Malaya, Kuala Lumpur, Malaysia. The sprint event is free, and you are not required to purchase a PyCon MY 2018 ticket, but space is limited: Please be considerate to other people that really is interested to join the sprints, and only get tickets if you can confirm that you can attend the event. If you’re interested to participate in the sprints, please get your free tickets here. The development sprint will be lead by Steve Clarke, Group Chief Technical Consultant Ezy Mobile Sdn Bhd. Steve is an entrepreneurial and result driven Chief Technology Officer, with 25 years of experience providing expertise in developing competitive business strategies, providing technology solutions and management for start-ups, multinational companies and government departments in Australia and Asian region. He co-founded a few companies and is currently working on his fintech startup. He has been programming in Python since Python 1.5 and he is a big advocate of the Open Source Community.